"Disappearing of UPND Kasenengwa Candidate shows that HH has failed"
It has come to our attention that the UPND nominee for the Kasenengwa Parliamentary by election, Dr. Faustin Banda has disappeared and the cat has been set among the pigeons in the UPND. Out of our concern for the vitality of Democracy in Zambia we sympathise with the leadership of the UPND and we offer our sincere commiserations. As has been highlighted by the leadership of the UPND, it is true that the vanishing act of the UPND candidate is definitely the work of the enemies of democracy. The said enemy needs to be dealt with severely and decisively. However, sometimes when people are faced with trying situations caused by a person they have become intimate with or accustomed to, they try to find an easy escape route by ignoring the problem and blaming it on other people. The longer they delay it, the more they believe their own lies and the more they ignore the facts, the deeper they get stuck in the rut of denial. Theirs becomes a lifestyle of distorted reasoning that also develops into a victim mentality. Their self-inflicted woes are always everybody else’s fault and they blame everyone else except the enemy in the mirror. Ironically, the enemy of democracy has been hiding in plain sight for over a decade within the UPND. The enemy has increasingly become something of a sacred cow nestled comfortably within their party .The same “enemy” is not only flesh and blood, but also takes the form of deadly denial. The reality is that things are not well. The foundation of the late Anderson Kambela Mazoka’s legacy has been desecrated. Walls have collapsed and their is gaping open air where the roof once existed. Sadly, shivering and shuddering occupants are huddled together taking turns in groups to provide some body heat to the sacred cow, in an attempt to protect it from the elements while it fattens itself on expensive hay. 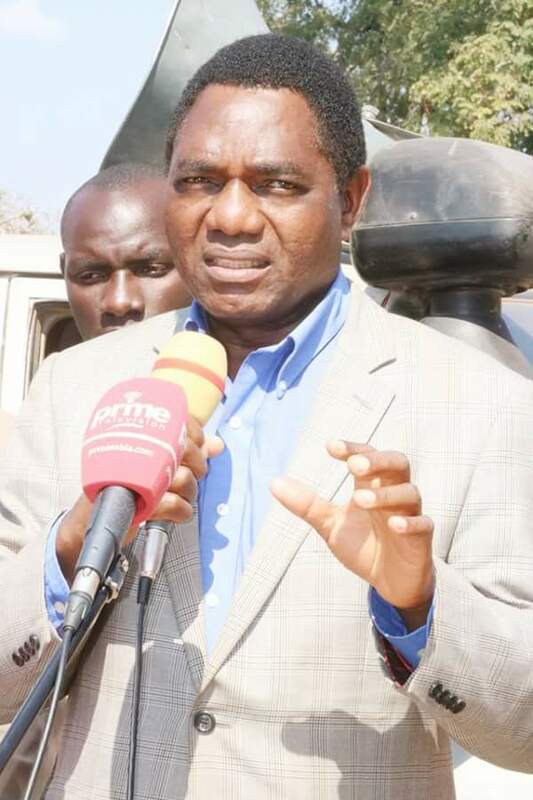 These events speaks to a party whose centre cannot hold because things are falling apart…it’s an indictment on Hakainde Hichilema and his failure to inspire those he leads. Just a few hours ago, they were extolling the virtues of their candidate; and now they portray him as a villain who has allegedly skipped town with their money? Come on! Hichilema should not blame anyone but himself for country wide defections and Houdini acts. The buck stops squarely on him! Disappearing acts should be happening to the oldest political party post 1991. Such disorganisation and departures from reality could perhaps only be expected of toothless political formations such as the NDC. The UPND need to put their house in order, and deal with the elephant in the room. Democracy’s public enemy number one has been their guest and he has repaid them by triggering defections and disappearing acts . Can you imagine if the UPND was a corporate organisation and the CEO was bleeding the organisation of both human and financial capital? What would the shareholders do? I think this is an honest and good assessment of the situation within UPND. They seem to be picking candidates for either expediency rather than those representing their supposed party values. No please this article is designed to mock UPND Leadership after the successful PF purchase of political fugitive doctor candidate. What has PF stake in UPND political mayhem? Sunday Chanda is always writing foolish articles against HH and Kambwili. Why is Sunday Chanda worried about UPND failure to feature a candidate? This is just pure pretence by this incorrigible fool who knows all the PF Monkey tricks to weaken UPND for fear of losing elections in 2021. In a normal and fair contest where on earth can competitor find value to coach an opponent in the same contest he is also participating and wanting to Win? This is being stupid by Sunday Chanda to assume advisory role in UPND Family. I hate Sunday Chanda with passion for being a political parasite in Zambia.